Michigan is continuing on its path to implement new work requirements for Medicaid expansion recipients, even as a federal judge this week blocked similar rules in two other states. But a legal challenge is possible — and, if one is filed, the case could wind up in front of the same federal judge that on Wednesday tossed out work requirements in Kentucky and Arkansas, according to experts who have reviewed the federal decision and spoke to Bridge. As it stands, Michigan’s implementation of its work requirements is unaffected by the ruling from U.S. District Judge James Boasberg in Washington, D.C., because his decision is limited to lawsuits challenging the law in Kentucky and Arkansas, Medicaid policy experts told Bridge. But Michigan has some similarities to both states’ cases that could leave the state at risk of having its program halted by a judge if it’s challenged, experts said. “I think (state) policymakers should go back and either put a hold on implementation, or repeal it entirely,” said Jesse Cross-Call, senior policy analyst for the left-leaning Center on Budget and Policy Priorities in Washington, D.C. 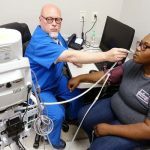 Starting Jan. 1, recipients of Michigan’s Medicaid expansion program, known as Healthy Michigan, will have to prove they are working, attending school or job training to continue receiving benefits. Some exemptions will apply, including for medical conditions, pregnancy and disability. It’s still unclear how many will be subject to the work rules, in part because of the exemptions. The nonpartisan state Senate Fiscal Agency has said it’s difficult to estimate the number, though “a significant portion” of roughly 660,000 potentially eligible recipients could be exempt. Then-GOP Gov. Rick Snyder last year signed Medicaid work requirements into law. Republican legislators, who sponsored bills creating the rules, said they are concerned Healthy Michigan has become too large and fiscally unsustainable. Republicans say the rules also are intended to help people get into jobs as Michigan employers say they struggle to find talented workers. Critics of work requirements say the government-run health insurance program for the poor was never intended to be a workforce program. Until the Trump administration loosened guidelines last year, states had never been allowed to require Medicaid recipients to work as a condition of receiving health benefits. One of those critics is Gov. Gretchen Whitmer, a Democrat, who indicated last month that she wants to change the state’s work rules in talks with Republican legislative leaders. Michigan is one of eight states that have had work requirement requests approved by the federal government, according to the nonpartisan Kaiser Family Foundation. 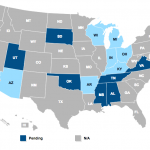 Another seven states have pending requests. Just three — Arkansas, Indiana and New Hampshire — have implemented their work rules. Republican legislative leaders did not immediately comment on the federal ruling, though Whitmer and the Michigan Department of Health and Human Services confirmed the state will continue to implement the rules. Here are some things to know about the federal decision, and what it may mean for Michigan. Boasberg, in two rulings impacting Arkansas and Kentucky, found the U.S. Department of Health and Human Services was “arbitrary and capricious” in approving work requirements in both states. Boasberg, appointed by President Obama, rejected Kentucky’s work requirements once before, last year. The plaintiffs in both cases included Medicaid recipients who would be affected by the requirements. 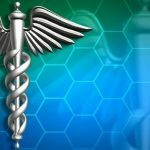 The requirements in Kentucky and Arkansas are now stopped, pending reconsideration by the federal Health and Human Services department. “The challenge with this particular judge’s ruling is that without quite exactly saying there’s no way he could ever support work requirements, he’s pretty close to saying that,” said Marianne Udow-Phillips, executive director of the Center for Health and Research Transformation at the University of Michigan. Could Michigan’s law be challenged? Yes, though to date it hasn’t happened. Boasberg’s ruling could “could embolden potential litigants to come forward,” said Nicholas Bagley, a law professor at the University of Michigan Law School who focuses on health policy. With now three separate decisions on state Medicaid work rules cases, “there’s every reason to think that if a group of plaintiffs were successfully able to get their case in front of Judge Boasberg, you have a pretty good idea how that case would turn out,” Bagley said. Potential Michigan plaintiffs can choose their choice of court venue, either in federal court in Michigan or where the defendant is based — in this case, in Washington, D.C., Bagley said. He added that given the choice, plaintiffs likely would opt to file a lawsuit where there might be a judge more favorable to their case. The federal judge in Washington, however, did not address the broader issue — are work requirements ever legal or justified for Medicaid recipients? Andy Schneider, a research professor of the practice at Georgetown University’s Center for Children and Families, said the judge so far has taken up cases from individual states to decide whether the federal Health and Human Services Secretary, Alex Azar II, considered the available evidence in each state on the potential negative effects of work requirements before approving them. 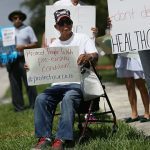 “One of the things state policymakers want to look at is: There’s potential litigation risk before this judge, and here he is speaking about how he’s going to view these things,” said Schneider, also a former senior adviser at the federal Centers for Medicare & Medicaid Services during the Obama administration and a former Congressional staffer working on Medicaid policy. What should Michigan policymakers think about as they prepare the new work rules for 2020? The state Health and Human Services department continues to implement the work requirements as required by state law, spokeswoman Lynn Sutfin told Bridge on Thursday. 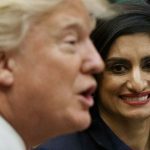 In Michigan, as in Kentucky and Arkansas, the state’s application to the federal government to impose work rules carried concerns that thousands of people would be thrown off Medicaid rolls, as well as mostly negative public comment, said Cross-Call, of the Center on Budget and Policy Priorities. Uncertainty about whether Michigan’s law will be challenged, as well as how an appeal of Boasberg’s ruling in Kentucky and Arkansas could play out, makes it difficult for state administrators working to prepare the rules, said Bagley, the U-M law professor. For instance, Bagley said, how does the state health department approach the process of getting information about the upcoming work requirements to Healthy Michigan recipients, who already can be difficult to reach? “I’m not sure it changes anything internally — it may or may not — but (the state must) certainly being cognizant of the possibility that the court may pull a plug on this program before it even gets underway,” he said. Other states likely will react, too, said MaryBeth Musumeci, associate director of the Program on Medicaid and the Uninsured with the San Francisco-based Kaiser foundation, which focuses on U.S. healthcare issues. Musumeci pointed to Idaho, where state lawmakers on Wednesday opted not to pass a bill to create Medicaid work requirements after news of Boasberg’s decision arrived during a committee hearing. “This is giving states some pause,” she said. What do Michigan’s policymakers say about the ruling? Representatives for Senate Majority Leader Mike Shirkey, R-Clarklake, and House Speaker Lee Chatfield, R-Levering, who both introduced legislation last year to create the work requirements, said Thursday that neither legislative leader has yet reviewed the ruling and so declined comment. Whitmer previously said she wants to work with Shirkey and Chatfield on revising the state’s Medicaid work requirements law to avert some of the potential coverage losses that could result. It’s unclear what, if any, changes may result from any talks. In Arkansas, which implemented its requirements in June, more than 18,000 people lost Medicaid benefits in 2018, according to state government data. 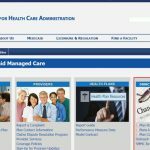 A recent report from Manatt Health, the legal and consulting health care group of Los Angeles-based professional services firm Manatt, Phelps & Phillips LLP, estimated between 61,000 and 183,000 Healthy Michigan recipients could lose their Medicaid benefits over a year under Michigan’s work requirements. Critics say they’re concerned that Michigan’s requirements could force people off Medicaid not because they aren’t working, but because they fail to comply with the state’s reporting requirements. Michigan’s law currently says after three months of noncompliance, a Healthy Michigan beneficiary will lose coverage on a month-to-month basis until he or she again follows the reporting rules. Shirkey told Bridge in February that lawmakers allowed more than a year before the work requirements took effect so that there would be time to design a system that can avoid the coverage losses experienced in Arkansas, which imposed its rules more quickly.